We were really pleased to learn last week that our film Fractured Earth: Fractured Lives will be screened at the Deauville Green Awards film festival in France this summer. Special thanks to out co-producer, photojournalist Les Stone for his work on the film and also to our Executive Producer Mo Williams for all her support in getting the project off the ground. It is very nice to get some recognition for this film and we have our fingers crossed that it will do well at the festival! This film was very well done. I freely admit that I am ignorant in field of fracking, so this film was quite interesting and offers valid debate over the whole fracking thing. 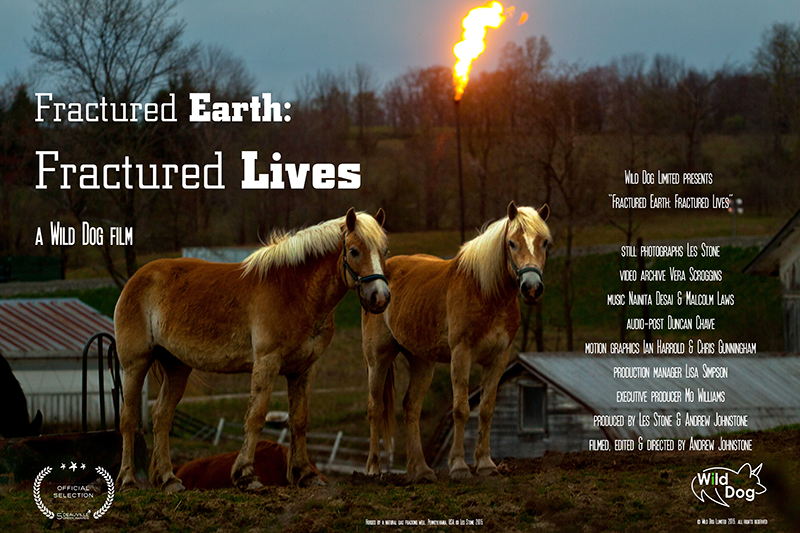 Before seeing the film I had worry of what consequences there was or would be to fracking (there is consequence for everything done, be it monetary, environmental, or what-have-you), and I believe this film will help put big oil companies under the microscope for their actions. (Erin Brocovich would be a great asset!) Anyways, I am eager to see the next documented film by you great people on this touchy subject! Best of luck. Thanks for watching the film Rene and for those kinds words. If we have contributed a little to the debate about this issue, then that is a measure of success!